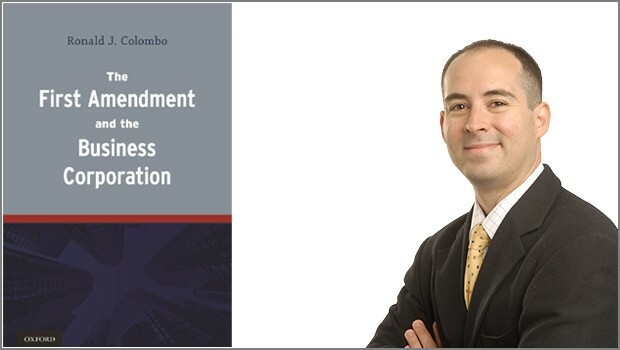 The First Amendment and the Business Corporation (Oxford University Press 2014) by Ronald J. Colombo, associate dean for academic affairs and professor of law, was the spring semester selection of the Business Ethics Book Club, an online book club composed of corporate law professors from across the United States and Canada. On March 6, 2015, via Skype, Prof. Colombo discussed his book with the book club’s members. View more information about the book.